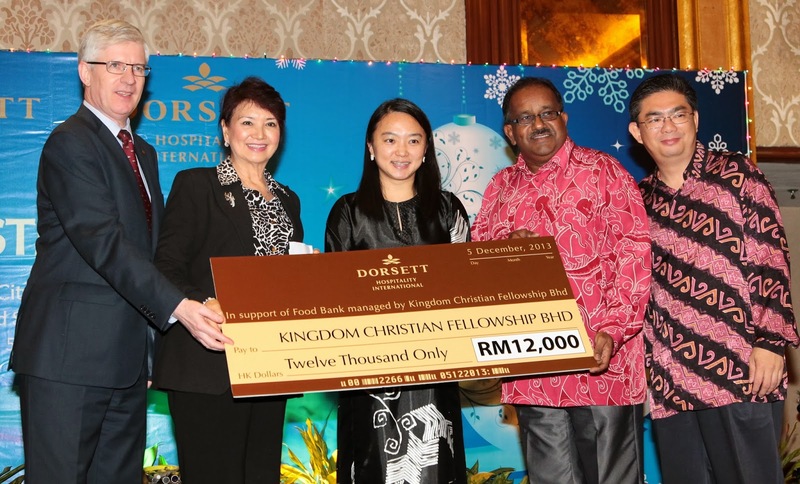 In a true spirit of giving back to the society this festive season, Dorsett Hospitality International (HKEx Stock Code 2266) and Dorsett Grand Subang have presented a cheque worth RM12,000 to Kingdom Christian Fellowship Berhad in aid of Foodbank as well as hosted an early Christmas Party for children of City Revival Children’s Home. For a good cause: (frm left) Hugo Gerritsen, Area General Manager of Dorsett Grand Subang and Dorsett Grand Labuan and Datin Jasmin Abdullah Heng, Vice Chairman of Dorsett Hospitality International presented a cheque worth RM12,000 to Reverend Dianithi Durairaju (fourth from left), the Advisor and Co-Chairperson of Foodbank and Richard Chong (fifth from left). Witnessing the cheque presentation ceremony was YB Hannah Yeoh (middle), Speaker and Selangor State Assemblyman. A project organised to support Foodbank’s on-going campaign to provide food, shelter and education to children from City Revival Children’ Home, this year’s event had YB Hannah Yeoh, Speaker & Selangor State Assemblyman, as the Guest-of-Honour. “I am happy to see that hospitality players like Dorsett International and Dorsett Grand Subang are giving back to the society. As the Speaker and Assemblyman of Subang Jaya constituency, I am truly proud of this,” YB Hannah Yeoh said after a group photography session with 26 children from City Revival Children’ Home. In a move to symbolically represent ‘hope and future’ for the children, YB Hannah Yeoh together with the children had lighted up the “Dorsett Grand’s Wishing Tree.” The children’ wishes were then written on a card and placed on “Dorsett Grand’s Wishing Tree”. For hotel guests, members of public or corporate companies who are interested to ‘grant’ the children’ wishes, these cards can be picked-up from the wishing tree itself at Dorsett Grand Subang. Items purchased for the respective children based on their wishes can be directed to the hotel’s Front Office. In encouraging this effort, Hugo Gerritsen, Area General Manager of Dorsett Grand Subang said that the hotel is pleased to collect the gifts bought for the children and send it to them a week before Christmas. Collection starts from 5 till 15 December, 2013. “Just like in the fairytale story of Santa Claus bringing loads of Christmas gifts to different homes, I encourage everyone to come support this effort... We hope to light up the least fortunate chidren’ life by providing the best that we could,” Hugo Gerritsen said. At the party, carollers from City Revival Church entertained the audience with several Christmas songs while a ‘Blue Santa’ and his Santarina were seen busy giving away early Christmas gifts to the audience. Those attended the party were treated to a wide range of local and international cuisines, prepared by passionate Chefs from Dorsett Grand Subang. 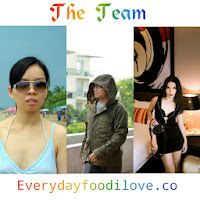 This year alone, the said 5-star hotel has undertaken 12 Corporate Social Responsibilities activities. The Foodbank is a programme managed by Kingdom Christian Fellowship Bhd where it provides aid to least fortunate families with daily essential items like rice, cooking oil, sugar, flour, canned food and biscuits among others distributed on a monthly basis. Available to people of any races or religions, Foodbank is currently being supported by the office of YB Hannah Yeoh, Speaker and Selangor State Assemblyman.